If you are like us and use your phones a lot, a better keyboard may be out there for you. A simple ‘keyboard’ search on the Google Play Store brings up thousands of options for you to choose from, but, which ones are worth your time and effort? You’ve either used or at least heard about this keyboard. One of the most downloaded keyboards in the Play Store. 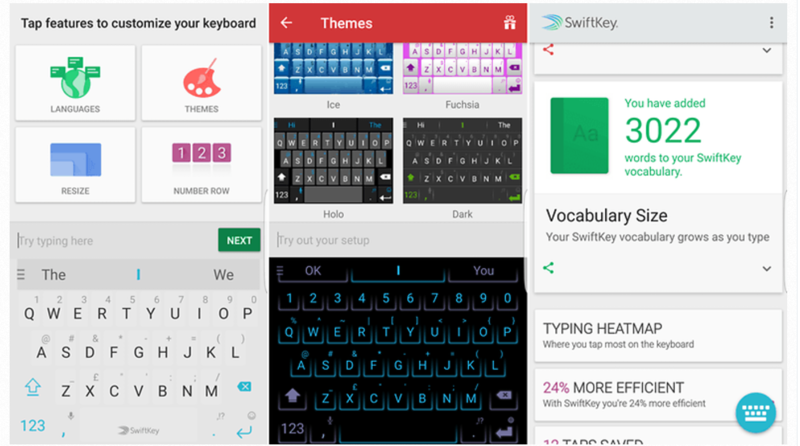 SwiftKey supports a host of different themes which can be downloaded free of cost once you sign in with your Google account. The SwiftKey-board also has multi-language support from Zulu to Hindi to even ‘Hinglish’ and also has a host of emojis while it can also access the inbuilt emojis in your device. You can even resize the keyboard according to your reachability. The best thing about the keyboard, apart from all the customisations, is the accuracy of its prediction. It learns your typing pattern over time, and can literally have a generic conversation on your behalf. It also has an interesting stats for you, like the typing heat map, the time you’ve saved by using the SwiftKey keyboard. Forget using the backspace key and discover a whole new way of ‘swiping’ on your keyboard. Fleksy is colourful, customisable and a lot of fun to use. It takes you a while to get used to the style of operating the keyboard but, its hard to give that up once you’re accustomed to it. With Fleksy, you can type fast and inaccurately and let the keyboard to do the correction, and more often than not, it does the job well. You can choose from a host of themes, and even use a personal image as the background for the keyboard. Just like SwiftKey, it also has support for multiple languages. 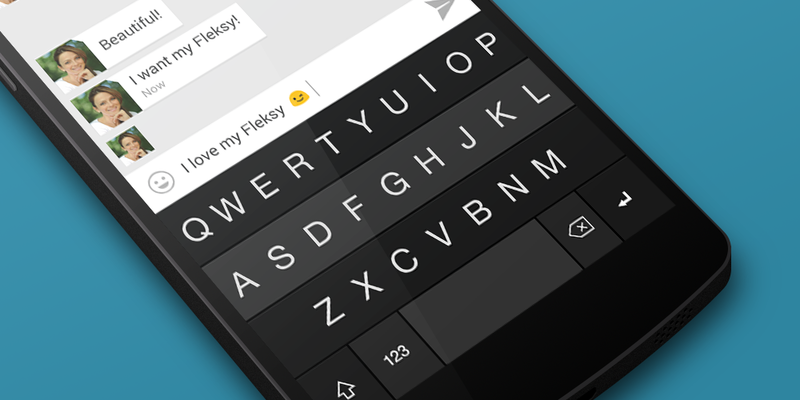 Fleksy also allows you to send emoji, stickers and GIFs directly from the keyboard. You can also select predicted words as you type or customize the size of the spacebar to suit your needs. You can also swipe on the keyboard to perform actions such swiping right to left on the keyboard deletes the current word. 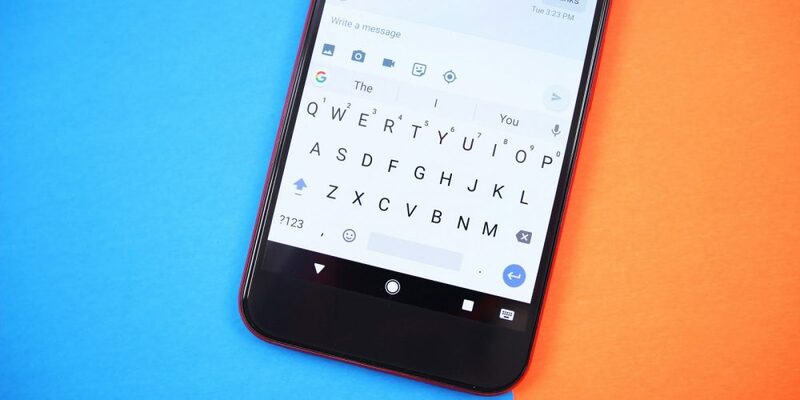 The Google Keyboard offers a clean interface and quite a few smart features. 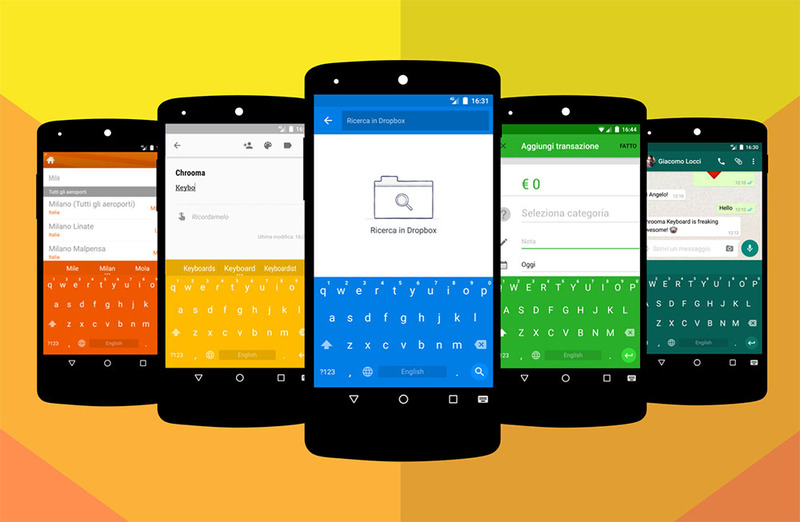 Just like the previous two keyboards, it has support for themes and multiple languages. The auto predict is accurate and so is the swipe feature. All you need to do is swipe over the letters and it predicts the words accurately more often than not. One standout feature is the speech-to-text feature which is pretty accurate as well and doesn’t confuse the accents. Just like Swiftkey, Google’s keyboard remembers everything you type and is able to optimise its suggestions. Chrooma keyboard has a standout feature for all the people who like to mix it up with the themes on their run-of-the-mill keyboards. It has an adaptive theme feature in which it changes its colour according to the application you’re using. For example, while typing in the Facebook Messenger, the keyboard will have a blue accent and will change to green if you switch to WhatsApp. 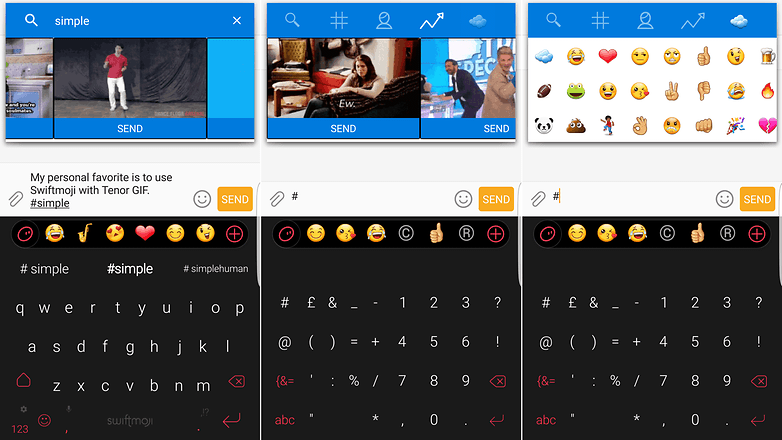 Other than the customisations, it has support for multiple languages and you can send emojis and GIFs right from the keyboard. The top row of the keyboard can be swiped right or left to display the number pad or predictive words/emojis. Arguably the most fun keyboard on this list, the GIF keyboard lets you send tons of GIFs (as the name suggests) to friends across platforms. It doesn’t become your default keyboard, but you can integrate it with your keyboard of choice and send GIFs by simply typing ‘#’ followed by the theme you’re looking for. 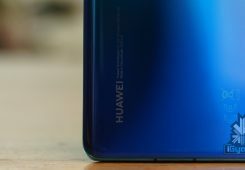 Among other features, you can also record a snippet from a video on your phone and create a custom GIF or use your device’s camera to record and create a GIF of your own. This keyboard is all about that perfect GIF!